Will winter tires get me an auto insurance discount? Auto insurance discounts come in many shapes and forms. Although some people don’t care much about the cost of their auto insurance—choosing instead to believe that “it costs what it costs”—many Canadians are shopping around for the best rate they can get. With increasing costs of living in many Canadian cities, people are doing their best to keep their insurance rates low, including seeking out any discounts they can. So, will winter tires get you an auto insurance discount? The short answer is yes: getting winter tires will usually result in an auto insurance discount. The reason for this discount is two-fold. First, having winter tires makes you safer on the road. When temperatures dip too low, rubber tires can harden and lose their grip. Winter tires are made to be more flexible and grip the road better in colder temperatures. Winter tires make it easier to stop quickly and help prevent you from skidding or sliding around on the road. Vehicles with winter tires are safer and therefore less likely to be involved in an accident. Fewer accidents mean fewer claims to insurance companies, which saves them money and allows them to offer an auto insurance discount. Secondly, a person who is willing to spend the money on a second set of tires and is conscientious enough to swap his or her summer and winter tires twice a year, could be seen as a more cautious driver in the eyes of an insurance company. This logic applies to all sorts of things—married people vs. single people, women drivers vs. men drivers, etc. More conservative drivers have fewer claims and lower auto insurance rates. In some situations, getting winter tires does not result in an auto insurance discount—at least not once the cost of the tires is factored in. People who have extremely high insurance rates: men under 25, owners of expensive vehicles, etc. could find that the small reduction in auto insurance rates from buying winter tires is not worth the cost of buying a second set of tires. Although it’s safer to drive on winter tires in the winter, many people can’t afford that luxury, or live in places with infrequent snow or ice, making the cost of a second set of tires prohibitive. Second of all, if you live in a jurisdiction that mandates winter tires, like Quebec, you will notice no change in your auto insurance rate, simply because the insurance companies assume you already have winter tires. Regardless of where you live in Canada, the chances of you needing to drive in negative temperatures is high. 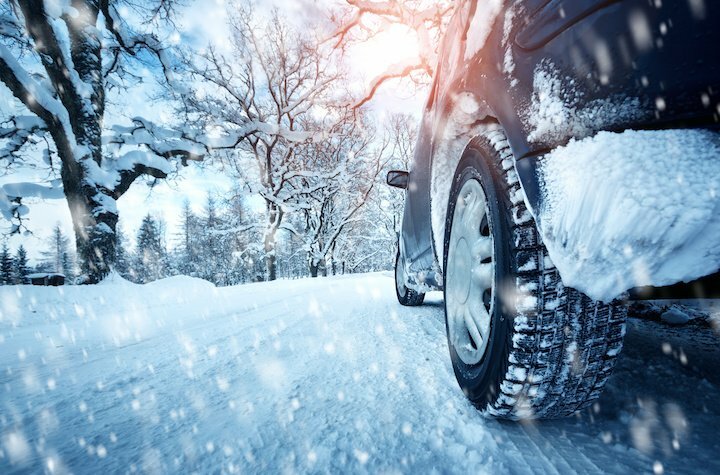 Winter tires are safer to drive on than summer tires, and, in the majority of situations, you can get an auto insurance discount for having them. Although the cost of a second set of tires can be pricey, it’s impossible to put a price on your safety.